While my beef broth to simmers in the crock pot, I took a turn around my garden to inspect for weeds. Not that I was planning to do anything about those dang weeds. 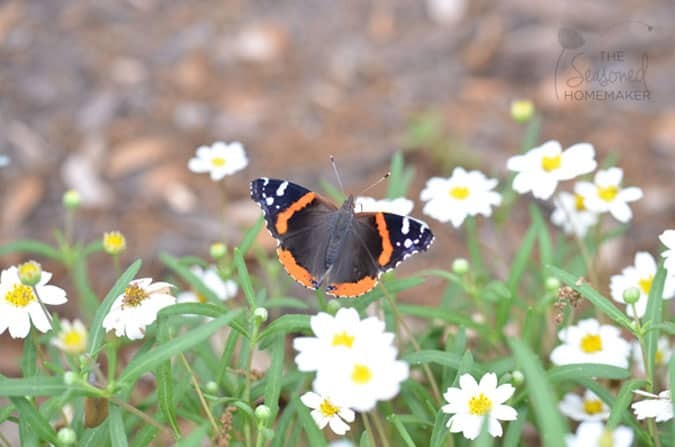 However, while I was out there I noticed all of these Red Admiral butterflies swarming around my Blackfoot Daisies. 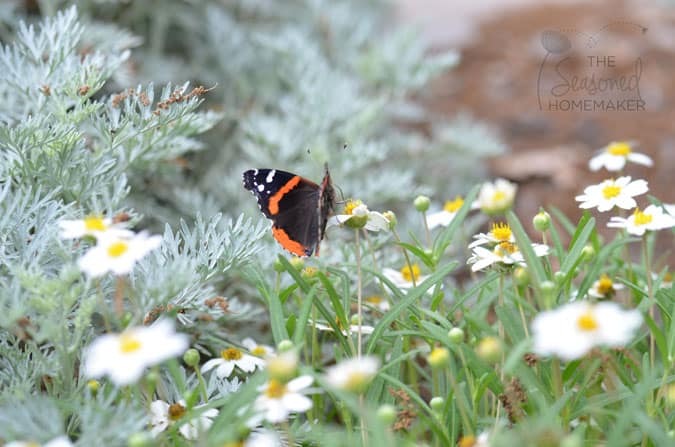 They seemed kind of friendly and were having such a nice time circling the rock rose and artemisia. Like children playing on a playground. Kind of made me wish I was a butterfly, too.